It is not a post but a complete guide about how to unlock Mi Cloud account hundred percent working. If you are using Xiaomi Redmi android mobile phone and, if by any reason, your phone has been locked and you have forgotten the pattern/password/pin code. You want to remove/unlock/bypass the cloud account from your mobile phone then in my this post I am going to tell you about a tool which is known as "Mi account unlock tool"
This awesome software will help you remove/bypass your Mi cloud account from your android device very easily. 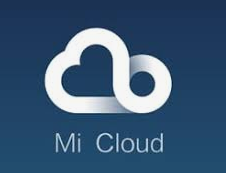 Therefore, download the tool from the official link shared below and unlock your Mi cloud account after downloading and installing the tool. Although, in internet world, there are hundreds of thousand unlock softwares are available and in such a competition scenario, it is obliviously difficult for general mobile users to decide about which website link is trustable so that you can get your required application. The link shared below is hundred percent bugs and spams free and you can get the tool without tension and worry because the link is official and well working. This tool supports many Xiaomi Mi mobile phones, following is the list of support phones by this amazing tool. How to use Mi account unlock tool?? Download Mi account unlock tool from the official link shared below at the end of this article. Extract Mi account unlock tool RAR file. Open the extracted folder and run "Mi account unlock tool.exe"
Reboot your device in "recovery mode". You can boot your device into recovery mode by pressing and holding "volume up key" and "power key" at the same time. Now, connect your android device with your PC via a best quality USB cable. You can check whether your device is connect or not by taping on the info button. Finally, click on "Bypass Mi account" button to unlock your android smartphone. Done, you have successfully unlocked your mobile phone, enjoy.